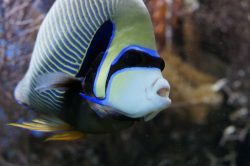 Owning an aquarium for your office or home is similar to the feeling of having a piece of the ocean right there with you. There is a certain beauty and blissfulness from being able to watch vibrant fish and swaying plants and even a beautiful castle. However, if you own an aquarium one must also acquire a stand for it to rest upon. A fish tank stand is used to ensure your aquarium is not only kept on beautiful display, but it also ensures it is secure. There are many options of fish tank stands on the market, some which only provide the bare minimum and others that offer elegant and stylish designs. There are some stands that even offer bonuses in space and storage. The two desirable types of stands are those made from wood (suited for acrylic aquariums) or metal, typically steel (better suited for glass aquariums). 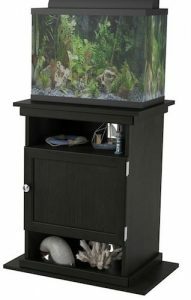 Wooden fish tank stands can easily be assimilated into many room types and configurations as furniture and usually offer storage as an added bonus. However, steel aquarium stands tend to be more affordable, and once coated (if needed) last long and hold up well against rust and moisture. 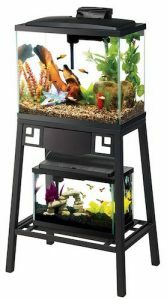 We will review the very best 10 gallon fish tank stands for sale. The 10 gallon aquarium stands covered will also work for any size tank smaller than 10 gallons as well, providing you a beautiful stand even if you have a 5 gallon or less fish tank. 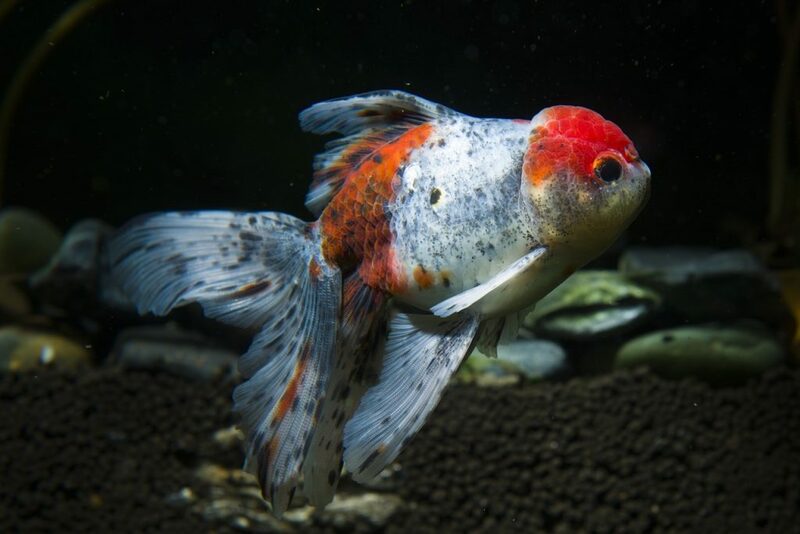 However, we aim to give the best advice and have to mention that prior to purchasing an amazing fish tank stand for sale, there are a number of things you need to keep in mind. You are probably aware of some problems to keep an eye on, but if not we will cover them now. For instance, the location of the stand is important for fish. Components such as loud noises, temperature, direct sunlight, and heating and air conditioning vents all have an impact. Location should also be evaluated as carpet is not always the best option to put a stand under as water can and will get on it. Placement of the aquarium stand is very important as it should be near a power outlet and possibly close to a water source depending factors like stairs and distance. The heavier the fish tank and stand the closer to cross beams under the floor it should be. 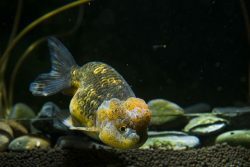 If you take those factors into account, the location will be great and your fish and aquarium will be a beautiful sight. Now to review the best 10 gallon fish tank stand. 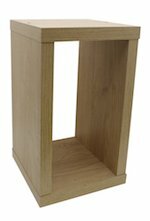 This sturdy stand can support up to a 7 gallon tank and measures about 12.5 (L) x 12.5 (W) x 22 (H) inches which makes it a desirable fit for nano aquariums and adds charm to any modest nook in your home or office. The stand is rectangular in shape and can be placed on either side, granting two separate heights of 12.5 inches and 22 inches which makes it more versatile than other aquarium stands. Additionally, it has a cut-out center that offers storage. You can dress up the empty space with a sleek vase, photos of your family or even fish supplies. It’s definitely up to you. It is available in two color finishes – natural oak and black gloss. The black gloss is modern and chic, and carries out clean lines throughout the room. The natural oak finish is as described: it has the appearance of an exquisitely cut piece of wood that is ashen brown in tone. Oak wood is commonly harvested for furniture but takes up to 150 years before it can be used so if you’re concerned about tree conservation whilst still concerned about home décor then this is a good medium. On the contrary, if you like the real deal then the fact that this aquarium stand is not constructed from natural wood may be a drawback. Whatever your inclination, there is no denying that the available options have immense design benefits. This steel stand has two shelves and a flared design that is wider at the base. It measures approximately 28.4 (L) x 16 (W) x 5.4 (H) inches and weighs about 15 lbs. 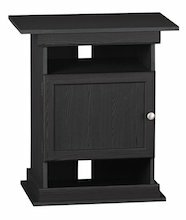 The aquarium stand is light enough to shift about your room but is robust enough to hold both 10 gallon and 5.5 gallon tanks: the top shelf holds the larger aquarium while the bottom shelf holds the smaller one, but the choice is yours because the bottom shelf can be utilized for holding fish tank accessories instead. It does have a rust-resistant coat so you won’t have to worry about damage to either fish tank. The stand is simple to assemble and offers design appeal with reversible panels in black and brown. Perhaps one of its best features is the reversible panels as any product that offers bonus features is well worth the purchase. The panels themselves can be lifted to a 90-degree angle to gain better access to the bottom shelf. However, something to be considered is that the body of the stand is black metal but the panels are only at the top so if you choose to flip over the panel to brown, then there will be a mix of the colors which may not suit every person’s design eye. This laminated stand measures 15.7 (D) x 25 (W) x 28 (H) inches and weighs about 42 lbs. It boasts a unique patent design that supports both 10 gallon and 20 gallon tanks with a quick flip of the structure. It is made from laminated MDF which is more friendly on the environment but still has the look of natural wood. This piece comes in “midnight onyx” and has a matte black finish. This is a product that offers major utility and modifications as you can switch the stand to support the aquarium dimensions mentioned above. It is also very multi-functional as it has a cabinet and openings that provide additional housing. Again, the added space can be used to conceal equipment and the cubbyholes can be used as a decorative element for the aquarium or the room in general. Further, the unit has wire management slits down the back of the structure which helps control those easily tangled cords and gives an overall tidier appearance. Speaking of appearance, the stand is a snap to clean with a swipe of a cloth or dust rag. The unit is strong enough to take bumps and knocks too, which is great if you have kids or other pets around. However, you should take note that when the structure is turned to support the 20 gallon tank, the stand appears top-heavy. As you can see, these are great options for a 10 gallon fish tank stand and 10 gallon aquarium stand. They offer different designs, dimensions, and looks as well as some storage options as well. The fish aquarium stand ideas and fish tank stand ideas reviewed are outstanding in one way or another, and in the end it comes down to personal preference on which will be the best fit for your personal taste. Make sure to keep in mind the factors for location we outlined. Pick a location that is both good for the fish and good for you, allowing you to reflect on the serenity and peace as often as possible. Please let us know if you have any comments on questions as we do love to hear from our readers, and let us know your first hand experiences.